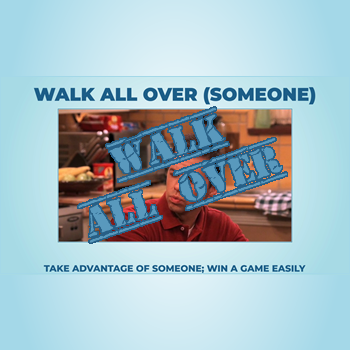 Walk all over someone (Short video) - Learning English is AS EASY AS PIE with Phrases, Idioms, Expressions. The phrase of the day is: "Walk all over someone"
To dominate a person or a group, to have a person take a submissive or inferior role. To easily beat a competitor in a contest, to win without much effort.